Brazilian online casino sites - Is it legal to gamble in Brazil? Brazil is a famous for its beautiful beaches, lively festivals, soccer stars and gorgeous women, but there is basically no gambling industry to speak of. A ban on brick and mortar casinos has led to a thriving online gambling industry, with many Brazilians turning to the Internet to place real money wagers. We explain more about the legal landscape of gambling in Brazil and whether it is legal for Brazilians to place real money bets at the best online casinos. In Brazil, all forms of gambling are governed under the laws of the Criminal Contravention Act, which was established in the 1940’s but remains the prevailing piece of gambling legislation today. The Criminal Contravention Act prohibits all forms of gambling, except for lotteries, horse racing and bingo. Land based casinos are not allowed, so there is nowhere in the country you can legally go to play table games like blackjack, poker, roulette or baccarat – although Brazil is known to have a prospering underground gambling industry. As the Criminal Contravention Act was created long before the invention of the Internet, there is nothing specifically in the legislation that prohibits online gambling, which creates all kinds of legal grey areas. However, as all forms of casino gambling are illegal in Brazil, it is understood that online gambling is also illegal. 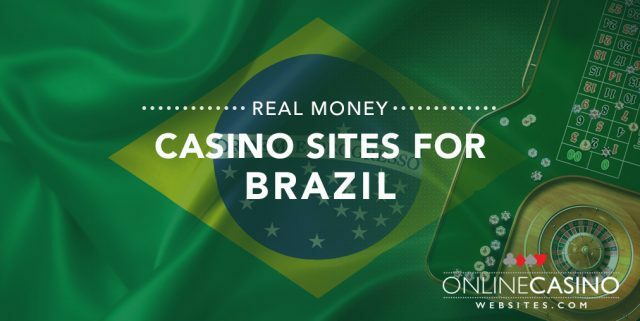 Of course, the loophole here is there is nothing in the laws to punish players for gambling online, so many Brazilians are taking to the Internet to gamble at offshore casinos licensed in foreign jurisdictions, with no legal penalties. Gambling online at offshore casinos is so prevalent that the online gambling industry in Brazil is now estimated to be worth over $265 million. 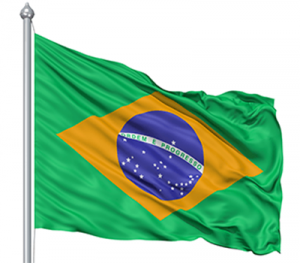 The Brazilian government has made several attempts to illegalise online gambling, with all attempts deemed unsuccessful. In 2008, the government tried to implement a law similar to the USA’s Unlawful Internet Gambling Enforcement Act (UIGEA) which would make all forms of online gambling illegal in the country, but the Act was turned down by congress. A year later, the government made an attempt to get ISPs (internet service providers) to block all offshore gambling operators from servicing the Brazilian market, but this request was also denied. In 2010, the government took one last unsuccessful swing at financial institutions, trying to get a block on all credit card and bank payments made to offshore gambling operators, but with no luck. After this string of failed attempts to ban offshore gambling, Brazilians can continue to play at online casinos with no chance of prosecution. To date, there has been no record of a player being punished for betting online, so most of the world’s best online casinos continue to welcome Brazilian players. Given the amount of money Brazilians are pumping into foreign economies, it is possible the government may seek to legalise the online gambling industry in the future, but this would be a slow process. In the meantime, Brazilian’s have plenty of options when choosing a safe and reputable online casino site to play a large selection of real money casino games. Given that so many of the leading online casinos service the Brazilian market, Brazilian players will have no problem choosing a safe and comprehensive casino to play at. When choosing a casino site, it is important to make sure it is legally licensed by a leading offshore gambling jurisdiction, with stands-outs being the United Kingdom, Malta, Alderney, Gibraltar, Curacao, Isle of Man and Kahnawake. Ensure the casino offers software from the best casino games software studios, like Microgaming, NetEnt, BetSoft, Play’n Go, Quickspin, Evolution Gaming, NextGen, Ezugi and Playtech, and that it is protected by a minimum of 128 Bit SSL (Secure Socket Layer) digital encryption. For a full list of the top-rated casino sites catering to Brazil, refer to our casino table above. This table has been geo-targeted to recognise your location and only recommend the best, safest online casinos accepting Brazilian players. These online casinos have been thoroughly tested to ensure all the right boxes have been ticked, while also offering some fantastic sign-up incentives to Brazilians. To further get around any region blocks, or to simply enjoy the peace of mind of having an extra layer of security when gambling online, we recommend the use of a trusted VPN (virtual private network) service. While Brazilian players are well catered to when gambling online, you will not always find an online casino that accepts deposits using Brazilian Real (BRL). If BRL payments are not accepted, this simply means you will be subject to currency conversion fees as your money is transferred into a more commonly accepted currency like USD, GBP, EUR or AUD. The payment options available vary between every online casino, with all venues offering different options to players from different countries. Given the Brazilian government has made attempts in the past to ban payments made via credit card or bank account, you may find that some online casinos have restricted these payment options from Brazilian players. If this is the case, there are plenty of alternative payment methods available, including web wallets, pre-paid cards and even Bitcoin deposits. Popular online casino deposit options include Visa, MasterCard, Neteller, Skrill, Paysafecard, ecoPayz, EntroPay, Citadel Direct, Trustly and Flexepin. To play for real money, sign up for an account with one of the top-rated Brazilian casinos in the table above (make sure to use our links to get access to some exclusive welcome bonuses). Go to the banking section, choose from the list of available deposit methods and follow the prompts to enter your details and complete your transaction. Funds are typically processed on the spot, so you can dive right in and start playing slots, poker, blackjack, roulette, baccarat, video poker, scratch cards and live dealer games for the chance to win real cash. Stick with the online casinos recommended in our casino table as these have been tested to ensure safety and game variety and are all legally licensed and regulated by reputable offshore gambling jurisdictions – and check out our beginner’s guide to online casinos for further information on how to get started.